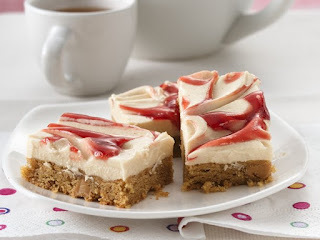 Well this recipe is "Peanut Butter and Jam Bars" and they are OH SO GOOD and SO FLAVORFUL. It's like as party in your mouth! Pretty easy to make them too. Great swirls of flavor! Here's a frosted bar with a favorite peanut butter and jam combo.